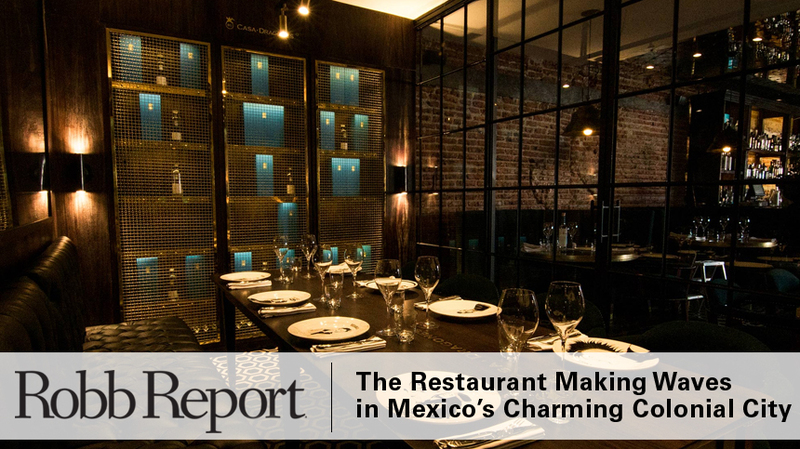 From Mexico City’s Enrique Olvera at Hotel Matilda to American-born Donnie Masterton—chef-owner of The Restaurant, San Miguel de Allende is now becoming the culinary heart of Mexico. Most recently, chef Paul Bentley has opened Bovine, the first meat-centric brasserie in San Miguel by reinterpreting the traditional meat-with-vegetable concept of a steakhouse. Bentley took on Mexico City for his next culinary rise because “What I’ve found in areas like San Miguel and Guadalajara is you can be part of a change and for me, it’s more fulfilling rather than going somewhere and competing. There are more diverse foods and people are willing to risk and do something different—not to just do contemporary Mexican. I see the guys who work with me and they are so stoked.” he explained.